Here are all the best deals on the staple items that you use most. 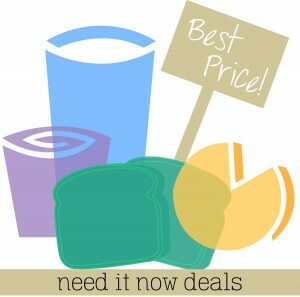 Use this list to help you find the best prices at stores nearest you! If you find any other great deals in your stores, leave a comment below. Lowe’s Foods – Carolina Pride Sausage, 28 oz, $3.99 ea. HEB – Hass Avovados, 48¢ ea. HEB – Red Delicious Apples, Kid Size, 25¢ ea. HEB – Green Bell Peppers, 33¢ ea. HEB – Strawberries, 1 lb, $1.77 ea. Harvey’s – Limes, 20¢ ea. Lowes – Grimmway Farms Carrots, 1 lb, $1.27 ea. Lowes – White Potatoes, 4 lb, $1.27 ea. Lowes – Limes, 25¢ ea. Winn Dixie – Dole Celery, $1.29 ea. Aldi – Cantaloupe, 99¢ ea.